We are using cookies on this site, cookies help us to make your experience on the site better. qPCR as an approach to detecting and simultaneously quantifying pathogens is the method of choice given its advantages in speed, sensitivity and clear cut answers/scoring when compared with other classical methods. To define the exact quantity of your particular species of interest the kit has included a positive standard curve and an internal extraction control to eliminate the possibility of false negatives. 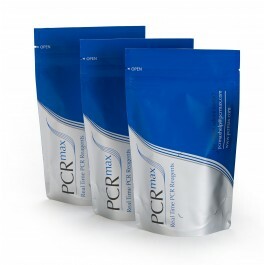 PCRmax work closely with key opinion leaders in the qPCR world to define the best possible target sequences and at the same time ensuring the kits have the broadest possible detection profile to capture all clinically relevant strains and subtypes. 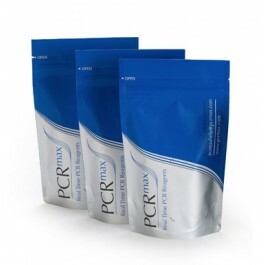 Standard kits and reagents are normally in stock and can be shipped within 24 hours of placing your order. Whenever possible products will be sent on the day of order by express courier. From sample to amplifiable DNA in 3 minutes with a simple two step protocol. No need for heating, cooling, repeated wash steps or centrifugation. Mr Mrs Miss Prof. Dr.
We'd like to keep you up-to-date with the latest product releases and special offers by email. Inclusive criteria: all relevant strains, subspecies, clades, genotypes to be detected. Exclusive criteria: closely related strains that are NOT to be detected. Kit to come with or without master mix? Expected usage of kit(s) per month?